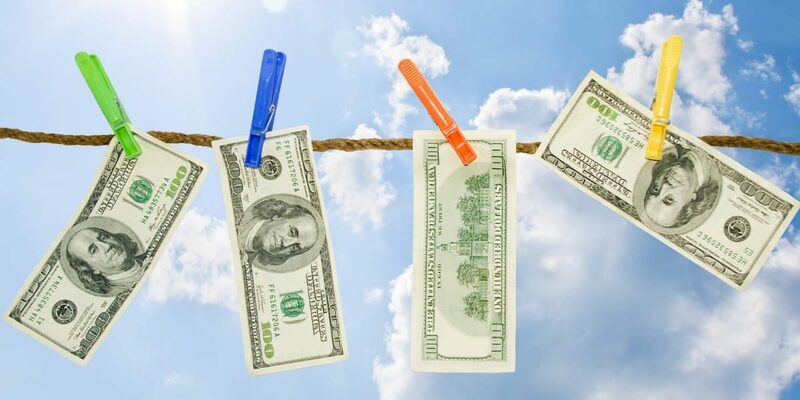 Follow these 6 steps to clean up your finances. It’s spring and you know what that means…spring cleaning! But I’m not talking about deep cleaning your baseboards, as fun as that sounds. If you’re like me, you probably started the new year off with all sorts of excitement and enthusiasm for what you hoped to accomplish this year. But now that we’re a few months in, you may not be quite so energetic. Spring offers a renewal of nature all around you, and it can also mark a renewed interest and commitment to your goals. 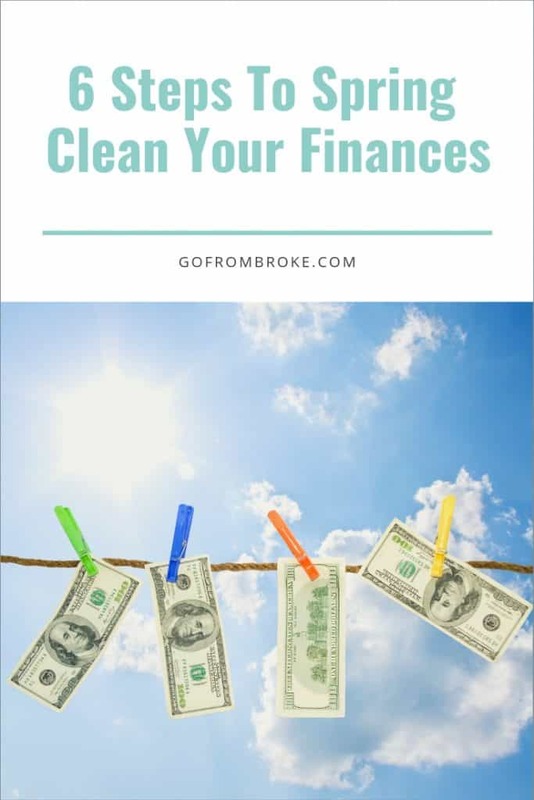 Here are 6 steps to help you spring clean your finances and stay on track to hit your goals. Reviewing your goals is a great way to reassess and recommit. We all tend to get gung-ho about making changes at the start of the new year, but the enthusiasm and momentum usually wears off by mid-February. So the beginning of spring is a great time to shake out the cobwebs in your budget and take a fresh look at your financial goals. Look back on the goals you set a few months ago. If so, how are you progressing toward them? Are you still on track or have you lost your focus? Now is a good time to recommit to your goals and regain some of that earlier momentum. Not convinced your New Year’s goals were the right ones? It’s entirely possible your priorities have changed over the last few months. If that’s the case you may want to create some new goals or targets for the rest of the year. It may be trite to say, but time really does fly by. Saving for larger expenses like Christmas and annual premiums takes time. Planning for them now means you don’t have to save as much at once and you won’t have the stress of being surprised by them down the road. Take a few minutes to review any expenses you’re going to come up against and make sure you’re on track to be able to pay them. Even though I’m much better at this than I used to be, I still find myself thinking I’ve got plenty of time to catch-up if I need to. 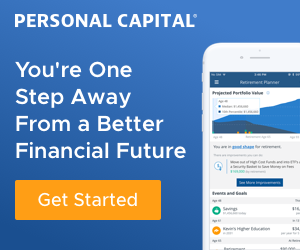 If you find yourself in a similar situation of underfunding or raiding those future expense categories, use automation to break the habit and force yourself to save. You’ll be thankful for it when the bill finally does come due. It’s always a good idea to review your credit reports each year, so why not go ahead and do it now. 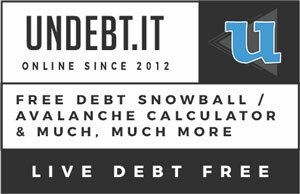 You can request your credit reports for free at AnnualCreditReport.com. Check to make sure there are no errors or suspicious activities. Credit bureaus often make mistakes and spotting unusual activity like new accounts can help you detect identity fraud before it becomes a problem. If you do find an error on your report, make sure you address it. Negatives on your credit report can affect your ability to get a job, the interest rates you’ll pay, and make it tougher to get insurance or any more lines of credit. It’s not always easy to dispute things so if you need help I recommend using this guide from Clark Howard. There’s no such thing as the perfect budget for everyone. A financial spring cleaning is a good time to review your budget priorities and how you’re implementing them. Maybe you’ve been trying the envelope method but you’re feeling too constrained. Or you’re going strong with YNAB but find yourself annoyed at having to figure out how to record that Amazon order that got split into three separate charges (I feel your pain). If your budget isn’t working for you, take a step back and try to figure out why. Are you feeling too restricted? Are you constantly overspending certain categories? Are you relying on your app’s sync feature to know what you’re really spending? All of these are signs that you may be using the wrong method. Here are a few budget methods you can try out if your current method isn’t working for you. If you’re feeling constricted with your current budget, give this method a try. 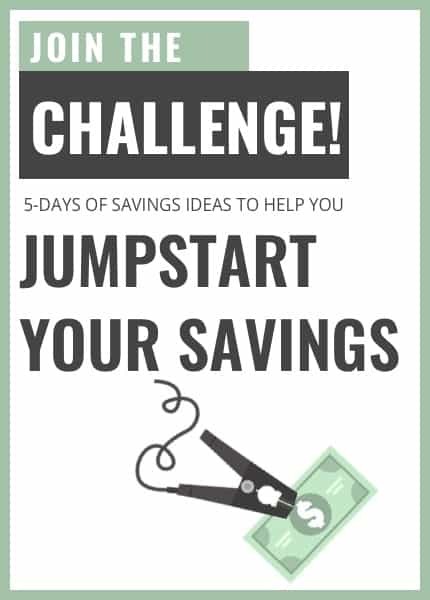 This method is great if you just want something simple but it does require discipline to save first and not overspend. If you find yourself constantly overspending, this might be the budget method for you. With the envelope method, you’re going to fill envelopes (real or virtual) with the money you’ve budgeted in a given category. For example, you’ll label an envelope “Groceries” and stock it with however much you can spend on groceries. Once the envelope is empty, you can’t spend any more. Obviously there are some ways to cheat this, but if you find yourself cheating with any budget method, you should probably switch it up. Also, if you’re trying this method digitally and notice you still overspend, try to restrict yourself to cash only and see if it helps curb the impulse. If you want hyper awareness into where your money is being spent (ie: you’re super crazy about tracking every dollar like I am) this is the method for you. With a zero-based budget every dollar gets a job. The general idea is if you don’t track it, you’ll spend it…and likely not on your priorities. So by assigning each dollar to a specific category you ensure you have money to pay those expenses when the time comes. 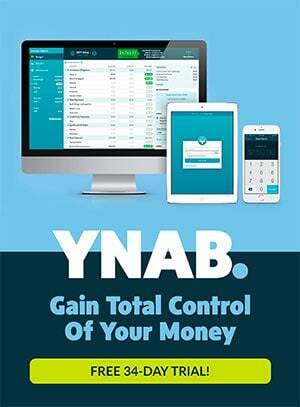 If you want to try zero-based budgeting, my beloved YNAB is the way to go. Regardless of what budget method you’re using, if you’re not being deliberate with your spending you’re likely to trip up somewhere along the way. Now that you’ve reassessed your goals, it’s time to look back at your expenses and see if they still align with them. When our family did this exercise, we realized TV wasn’t really a priority anymore. Since our discount with DirecTV is expiring we decided to just cancel and make due with Netflix and Prime. I’m actually excited to ditch our dish. Not only will it save us some money, but we’ll get a bit of our time back too. Do you have any expenses that you’ve just accepted over the years? Maybe it’s time to finally let them go. When things tend to pile up and accumulate, my reaction is to consolidate and purge. But Mr. GFB and Little GFB have a sentimental streak in them that makes it tough to get rid of anything. Because I’m outnumbered, the only area I really have any influence over is our finances. Which may be why I love to organize and optimize our accounting systems so much. But as optimized as I’d love to be, even I recognize there’s a limit. In my attempts to eke out the best savings rates, I once had somewhere in the neighborhood of 5 different checking accounts. That’s just unnecessary and not worth the time it takes to manage. Take a look at your all your accounts and see if there’s any overlap you can consolidate and simplify. Also make sure to look at your record keeping system. You don’t need to keep every bank statement you’ve ever received. While I do advise downloading and saving a copy of your statements in case there’s ever a bank error, saving the files to a flash drive or a cloud server is sufficient. I use Evernote to store all my files. You can save files to the cloud for easy access, password-protect them for added security, and quickly search to find whatever you need. I also use their app Scannable to digitize all of my receipts and any other financial documents I want to keep copies of. The simpler your accounting system, the easier it will be to find any documents you need if there’s ever an issue. We have a tendency to live in the moment and put off planning ahead except at certain key points in the year. Make spring one of those key points for you. Spring cleaning your finances is a great way to reassess and recommit to your goals. Using the 6 steps above will give you a great starting point toward achieving them. Want to remember this? Save 6 Steps To Spring Clean Your Finances to your favorite Pinterest board!